As a leader of change in complex systems, your many hats include a teacher hat. Maybe your teacher hat is a mortarboard that you would wear while beaming proudly over a graduation ceremony, or a bright yellow visor you wear as you supervise recess and try to keep small children from killing each other, you have a teacher hat. Perhaps you can see yourself in each of these hats at different times, depending on how well things are going in your work. My point: As a change leader, you are wearing the hat. You are a teacher. In looking for examples to use for this article, I found the wise words of a legendary violin player and musical conductor. I’m sure you have heard a symphony used as a metaphor for effective teamwork and the conductor as the team leader. I was very pleased with myself to find a conductor talking about teaching as part of his work. Do you know Itzhak Perlman? Picture a robust, nerdy-looking guy with big curly hair and glasses, standing in front of a symphony waving his arms around in beautiful sweeping gestures and small savage-looking swipes. He leans in, he leans back, communicating with his dancing upper body how the musicians should play the music. He pulls the individual sounds from each musician, with precise timing and a tempo shared by all the instruments. Clarinets and oboes, violins and cellos (my favorite is the cello), trumpets and tubas, those huge bowl-shaped drums. This sounds like your work leading and managing teams, right? On a good day, the music coming from your team flows and harmonizes. Makes you want to stand up and start swaying and waving your arms around at your next meeting, doesn’t it? I do three things. I do teaching, I do conducting, and I do playing. And each one of those sort of helps the other. You do these three things too. Where Mr. Perlman plays the violin, you do your own work (as a physician, as a manager of a staff team, as a project manager). 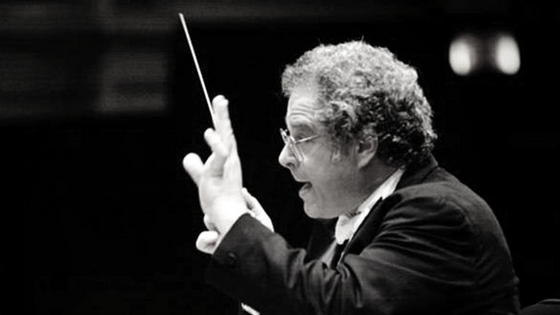 Where Mr. Perlman conducts symphonies, you organize and direct other people’s work (even if you aren’t those people’s boss). Where Mr. Perlman teaches, you teach people: how change happens, what the key changes are to do our work in a more effective way, how to communicate effectively and how to run a meeting. Of these three things, it’s teaching where I observe many change leaders rushing or skipping over it entirely. When I see this, I see the work they are leading moving slowly, with confusion that often gets labeled as resistance to change. My goal for this article is to help more people acknowledge and embrace the role of teacher, and dig into it as a way to help their conductor/change leader work go more smoothly and be more fun. Why do we have to accept the role of teacher? Change always requires new knowledge, and effective change for a group of people requires each person knowing enough to own the change themselves. People can’t work differently if they don’t know and understand the specifics (the What) and the rationale for doing the new thing (the Why). When you are covering Whats and Whys, you are teaching. Primary care providers won’t check out the new teeth of small children if they don’t understand the connection between early childhood dental care and adult tooth decay. Community non-profit agencies will not share data with a health clinic unless they understand how that extra effort has helped families and communities to be healthier and more successful in other places, compared to the standard one-time referral. The ability to assess the gaps between the learners’ current knowledge and the content the teacher needs to deliver. We need to know where to start and where the deepest gaps are. The ability to talk at the right level of detail and jargon. In my work, I target my language and examples to the person who might be on the job on their first day, who doesn’t have a college degree. It makes my work as a teacher harder in some ways, but it works better. Do you accept and own the role of teacher? Is teaching a natural and enjoyable role for you? If not, what might help you feel more comfortable with being a teacher? What do you want to learn from the field of pedagogy (the study of teaching, fun word!) that will help you in your work and make the work more fun? How do Perlman’s “three things” help each other? How does your teaching inform and enhance your individual work and your work leading teams? Personally, I love teacher mode. When I think of myself as a teacher, I enjoy my work more and stay in the supportive role that seems to help people the most. If you don’t already think of yourself as a teacher in your daily work, I hope you decide to give it a go, and consider both teaching itself and also the interplay between your Perlman-esque three things (your individual role, your conductor-type work with teams, and your teaching) as you forge ahead in your busy days and weeks to come.